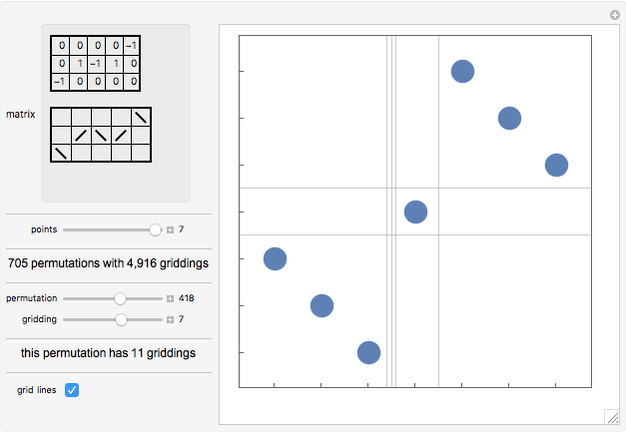 A grid class of permutations is defined by a 0/1/-1 matrix, which specifies the shape of plots of the permutations in the class. 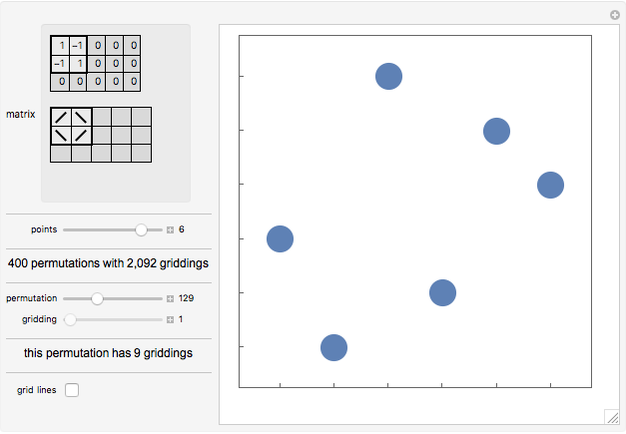 Each cell in the matrix corresponds to a rectangle in a "gridding" of a permutation. If the cell in the matrix contains 1, any points in the rectangle must form an increasing sequence; if the cell contains -1, any points in the rectangle must form a decreasing sequence; if the cell is 0, the rectangle must be empty. An empty sequence is both increasing and decreasing. 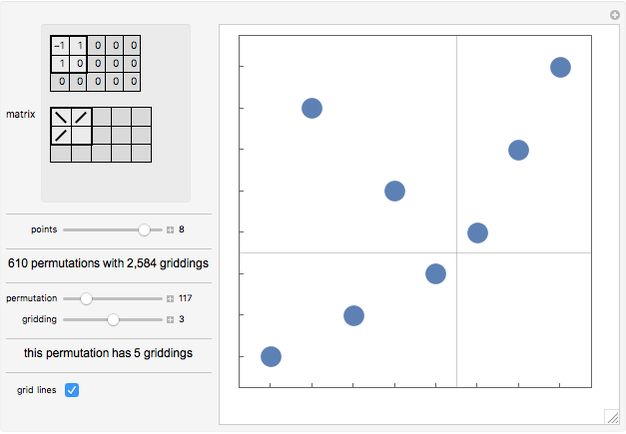 A permutation in a grid class may have multiple possible griddings. Click in either the numeric or graphical representation of the matrix to change the cell values. Permutation grid classes are defined in . S. Huczynska and V. Vatter, "Grid Classes and the Fibonacci Dichotomy for Restricted Permutations," Electronic Journal of Combinatorics, 13(R54), 2006 pp. 1–14.